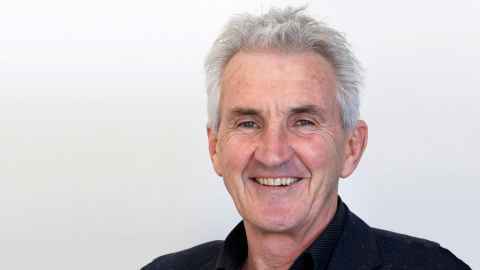 Opinion: Until the Government addresses the status of the profession, teaching is likely to remain in crisis, says Associate Professor Wayne Smith. It is most unfortunate the primary teachers' strike action is taking place under this Labour-led coalition Government because it is, fundamentally, sympathetic to teachers’ concerns about pay, working conditions and status. However, this action is absolutely necessary for teachers to push the message home to all New Zealanders that the current situation is unacceptable and unsustainable. Unfortunately, the need to push that message will continue. If the same offer is put on the table for secondary teachers, it is likely they will follow their primary colleagues in taking strike action – and who would blame them. Until the Government addresses the status of the profession, both in the short- and long-term, it is highly probable the profession will remain in crisis and we will continue to not have enough teachers to staff our schools. Unfortunately, Minister Chris Hipkins appears to be missing the point of the teachers’ strike action. He appears to be treating the current situation simply as another pay negotiation round, as opposed to a call for a long-term commitment to lift the status of the profession. My message to him is this: Minister Hipkins, our teachers are looking for a brighter future for their profession and you need to deliver on this. A pay raise will certainly help, but alone it will do nothing to improve the long-term status of the profession and the crisis will continue. Teachers and prospective teachers need a message of hope for the longer term as well as this short-term fix. Despite the quality of the training on offer, we cannot recruit the number of student teachers required for our schools because of the poor status of the teaching profession. Recruiting teachers from overseas is another short-term fix that does nothing towards long-term problem-solving. Let’s acknowledge, while talking about overseas recruitment, that we have internationally-acclaimed university faculties of education here in New Zealand. The University of Auckland’s Faculty of Education and Social Work is ranked 17th in the world. That is 17th out of 900 – clearly a massive indicator of the quality of the education we offer. Other New Zealand education faculties also rank well on the world stage. But despite the quality of the training on offer, we cannot recruit the number of student teachers required for our schools because of the poor status of the teaching profession. This reality is the market telling us that potential student teachers do not want to come into the profession because of its current poor status. As a country we must address this issue: Do we really want to recruit from overseas when we should be educating our own? Clearly we need change and one way to begin the change process is for the Minister to listen to - and work with - faculties of education in all our universities. The majority of our prospective teachers are educated in these highly-acclaimed faculties. We need to make it more attractive for potential students who may be considering our teacher education programmes, but are put off by the profession’s poor salaries, challenging working conditions and low status. We need to turn this around. Potential new teachers need to be confident their choice to teach future generations of New Zealanders will be rewarded with appropriate salary and status that will keep them in the profession. So it is actually quite simple – salary and status are key to this message of hope, in the short term. That, and a tangible commitment to continue lifting the status of the profession over the longer-term. This article reflects the opinion of the author and not the views of the University of Auckland. This opinion piece was used with permission from Newsroom, A message about teachers for Minister Hipkins published on 16 November 2018.